Currently there are very few warps. I honestly hope we get warps to passive mob spawners or undead mob spawners, or give the ability for players (preferably players with high ranks), to create warps in which they provide certain shops, services, activities etc. 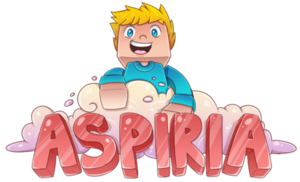 Im taking inspiriation from a really good server called “Snapcraft.” It is similar to Aspiria, but based in an earlier version, and I believe you guys can use some of the server’s ideas to improve Moreover, it would be nice to use some pluggins that make the server feel a bit more exiting (like the slimefun pluggin for example). Finally, I think it would be nice to give free ranks to the free players based on the amount of time played- they could earn more build blocks or something with their free rank lol. Ultimately, the server is great fun and it is overall really good, but I feel like people will easily run out of things to do. I think you should add the ability to breed parrots. It takes a long time to find them in the wild jungles, which dwindle smaller and smaller as new players build and cut down there. It would allow you to make your own warp but only accessible when you type /pwarps. Maybe you would have to pay a weekly fee or something. First, I'd kinda like to see a looting world. Just a blank survival map that gets reset every so often, so players don't need to desecrate the world everywhere. Secondly, I'd very very much like to see the maximum amount of passive animals (cows, chickens, etc..) be a little higher than 5 per chunk. I know it's kept low for lag, but... 5 feels unreasonably low to me. You know how legends+ have /craft? I think god+ should have /furnace. S k y b l o c k .
A way to buy ranks with in-game money. Might be a little OP, but some of us only pay with cash, not credit. Exactly. We wouldn't want people to gain 50k and get god. A area like spawnpoint where we can place down our own shop where we can sell our stuff. so no big claims or somethings like that just a big shopping area where everybody sells there own items.